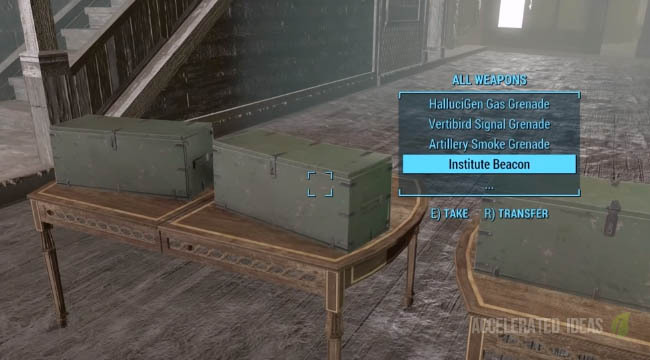 Just as in Fallout 3, there's a secret console command in Fallout 4 that lets you teleport to a secret location, purposely created by the Bethesda team for testing. This secret location contains all of the in game items including every Rare Weapon and Power Armour. Players can explore this "test area" and pick up any weapon for free, or try on any Power Armour for free. Better still, access to all of these weapons isn't just limited to this area. You can easily pick up a set of weapons and then teleport back to any map location and try out the new weapons in the real game. The only thing you need to achieve this awesome cheat is the PC version of Fallout 4 and a simple console command, which I'll show you right now. Ok, for PC players simply follow the steps below. If you're playing on PS4 or Xbox then I'm sorry but this console command doesn't work because those versions don't have access to the console screen. A very simple step, just open the console window by pressing the tilde key (~). This key is next to the 1 on US keyboards but check your own model to make sure you're pressing the right key. The bottom half of the screen should fade out and a cursor will appear, ready for you to type commands. There are hundreds of console commands for Fallout 4 but for this post I'm going to cover the qasmoke command. This will immediately teleport you to the secret test area. When you've finished in the secret area, type a location name to exit. 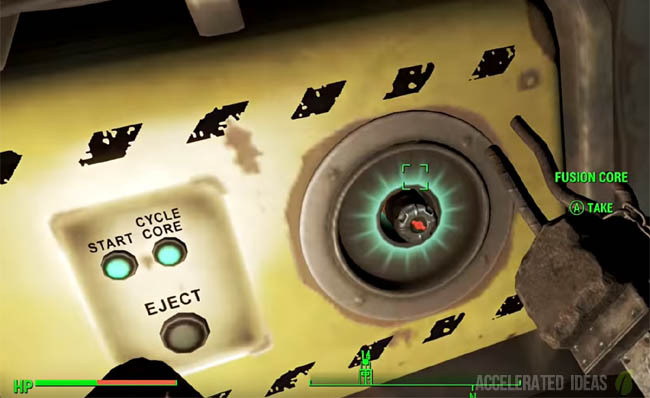 For example, type UFOCrashSite01 to teleport back to the UFO crash site in the wasteland. What can you do in this area? The secret area is small and it looks really dull but that's not the point here. Along the boundary of the test area are different crafting systems and containers full of items. 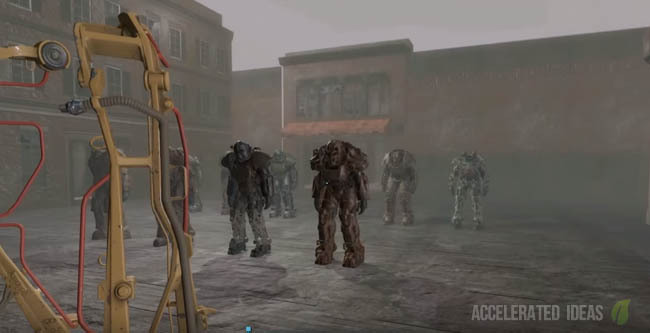 You can use these systems to either take or make anything from the Fallout 4 world. 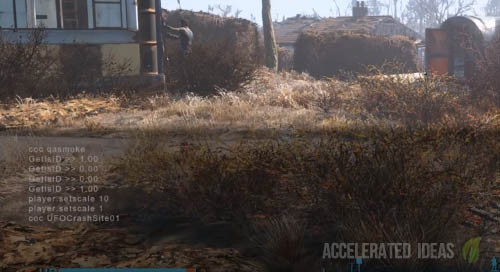 So as you can see, the secret area is a place to grab hold of anything in the game, literally anything and bring it back to the wasteland to test out. Whether you want to test out a particular rare weapon or armour piece, simply pick it from the box and come back to the wasteland. 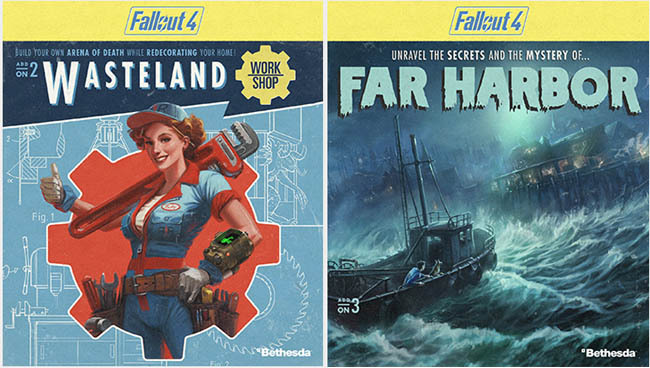 Alternatively, grab some rare scrap materials to finish your settlement and make the ultimate Pip boy sign.